Evergreen hedge plants, or simply evergreens, are plants that hold on to either all or most of their leaves during the winter. 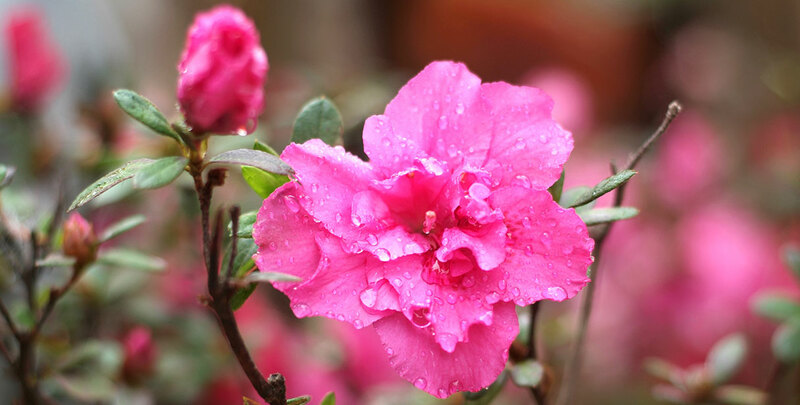 Their foliage is almost completely resistant to cold and loss of moisture, which prevents the leaves from withering. As a result, evergreen plants have green leaves during all four seasons. Some evergreen plants have needles rather than leaves, although there is no significant biological difference between them, other than the shape of their leaves. Evergreens can often, though not always, be recognized by their horticultural name, which may include the word “sempervirens”, translating literally to “always green”. Evergreens provide privacy throughout the entire year, but the aesthetic value of a hedge that retains its healthy green colour during the winter months should not be underestimated. 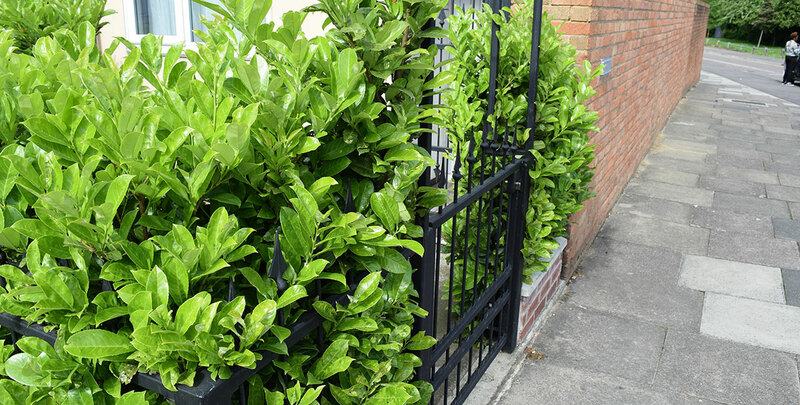 Several evergreen plants are widely used as hedging plants. This is not without reason. Evergreen hedging provides year-round shelter and makes for a beautiful green garden that is not particularly sensitive to seasonal changes. This does not mean, however, that evergreen plants never shed their leaves. All of them do, but evergreens will not shed their leaves before new leaves have grown. Some evergreens shed their leaves on a yearly basis, others only do so once every few years, though leaves with a lifespan that exceeds five years are rare among these types of plants. In addition, there are plants that are considered evergreens because they will survive most European winters, but may still lose their leaves during exceptionally cold seasons. In tropical rainforests, most plants are evergreens. Native evergreens, however, are a relatively rare phenomenon, but they do exist. Such as the common yew (taxus baccata) or holly, both of which are native to the UK and therefore exceptionally suitable hedging plants. Some types of plants that are native to Europe possess leaves that generally will not be shed, but still change colour during autumn. Privet is an excellent example of a semi-evergreen that has become a truly classic hedging plant. The beech is also one of these plants. Of course, these plants are not considered evergreen, but deciduous. Some of these species would still make an excellent choice for hedging purposes, however, especially for those who prefer their hedges to have a different look throughout the year rather than simply retaining its healthy, green look when temperatures drop. Hedges often serve as a boundary or barrier between gardens and provide privacy. Because evergreens, contrary to deciduous hedging plants, provide shelter all year round, many people prefer to plant an evergreen hedging plant in their garden. Luckily, there are many different species and varieties with a myriad of qualities to choose from. 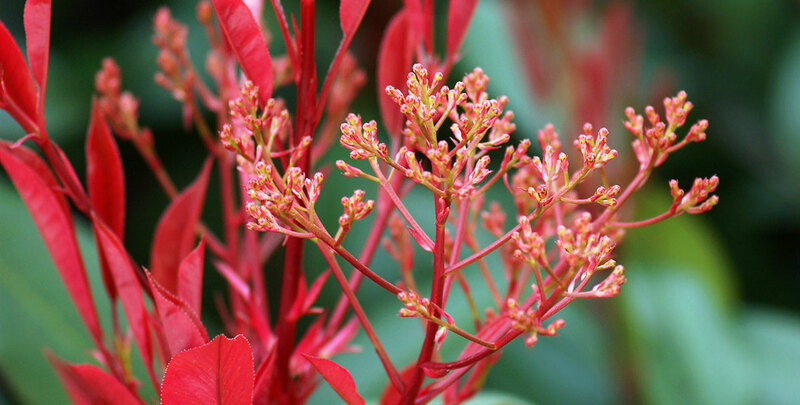 While most flowering hedges are deciduous, there are exceptions to be found, such as rhododendron and firethorn. Other factors that can be taken into consideration include average growth rate, soil requirements, shape, height and whether you would like a formal or informal hedge. For more information on these specific qualities for each plant, please refer to the individual pages of each plant. A typical disadvantage of most evergreen plants compared to deciduous plants may be found in the pruning requirements. Those who prefer to spend as little time as possible on pruning may be better off with a deciduous hedge, as evergreens tend to be less forgiving when it comes to pruning. They need to be pruned annually, while deciduous hedges usually do not mind if you skip a year or maybe even two. To those who are thinking about planting a hedge – we always recommend having a look at the individual variety’s requirements and uses before making your final selection. A hedge is supposed to last a long time and therefore, it is very important to take your time and compare all available options thoroughly. Autumn is generally the best season to begin planting an evergreen hedge, but there are types that can be planted throughout the entire year. Some species may need a little time before they form a dense hedge that will guarantee your privacy, but if you cannot wait for your desired evergreen hedging plant to grow high and dense enough, there is always the option of ordering an instant hedge, which can serve as your green garden wall immediately. A native evergreen hedging plant is always a good choice, because its history on European soil has proven that it will survive the winter in this part of the world, but that does not mean that more exotic types of hedging plants, such as the Japanese laurel, the photinia or the osmanthus, will not be a welcome addition to any European garden. And since these species are relatively rare in public parks, they will certainly transform your garden into something very unique. You might even consider something as unconventional as bamboo or ivy. HedgesOnline strives to offer you complete and comprehensive information on all available hedging plants.